When we launched Sales Navigator this summer, our goal was to give the millions of social sellers on LinkedIn the ability to easily establish and grow relationships with their prospects and customers. Today we’re delighted to continue enhancing the Sales Navigator experience with the official launch of our mobile app on iOS, as well as additional Salesforce functionality. Mobile is a significant priority for us, and for LinkedIn members. 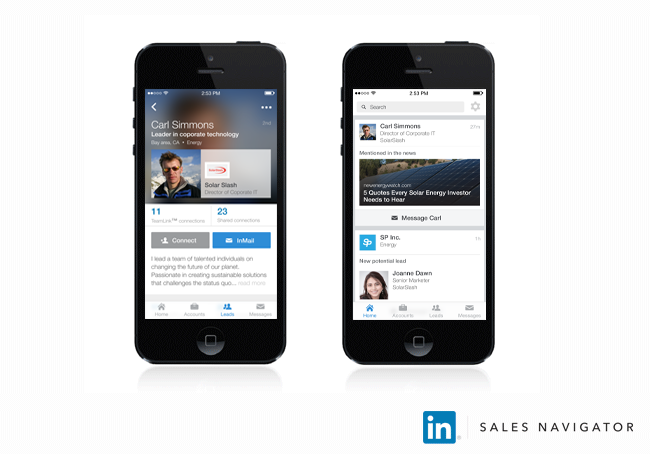 In fact, 45% of our 313 million members are now accessing LinkedIn through mobile. As such, we continue to invest in this area by building a family of applications that focus on specific audiences. Real-time Updates: See the latest news, job changes, shares, and more from prospects and customers while on the go. 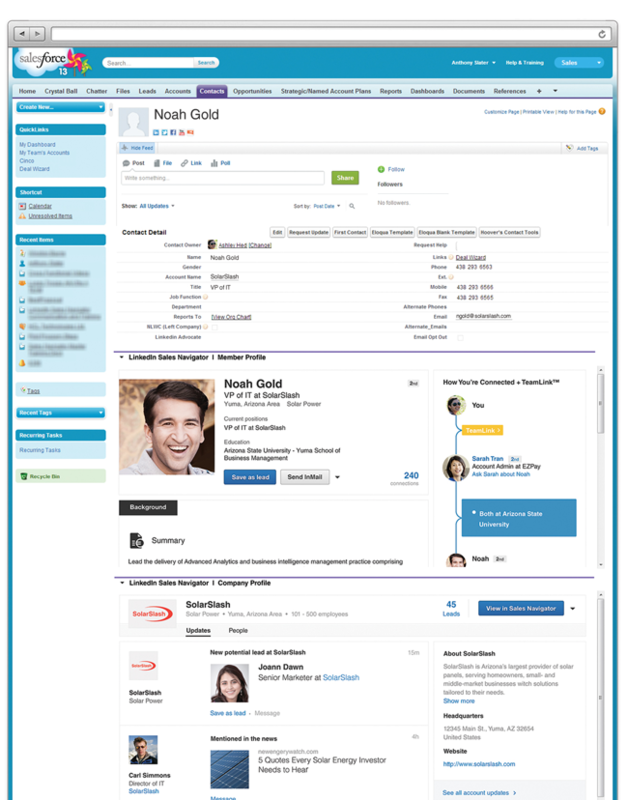 TeamLink: Discover who on the team knows a prospect prior to entering a meeting. Saved accounts and leads: Get fast access to saved accounts and leads while in the field. Notifications: Real-time updates are available directly within the Company Profile on Account records, including news, job changes and shares. Lead recommendations: See Lead Recommendations from Sales Navigator to help surface additional leads at target accounts. 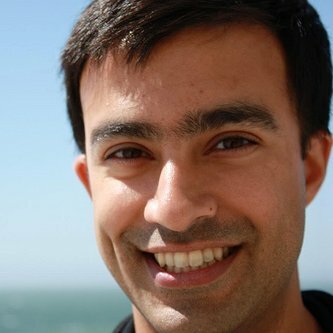 Outreach: Connect and send InMail right from Salesforce. Our goal is to make our members more productive and successful whenever they use our products. For social sellers on our platform, this means creating sales products that get them that much closer to making the right contact, in the right context, in the most efficient way possible. While it’s early days for Sales Navigator, our expansion into mobile, along with enhanced Salesforce functionality, will supercharge sales professionals’ ability to be successful at work. It's available today and existing customers can download the Sales Navigator iPhone app for free from the Apple App Store. You can also learn more about our updated Salesforce features by clicking here.